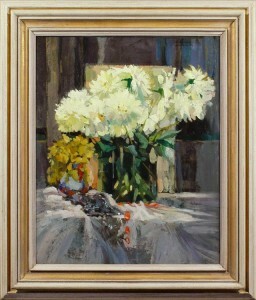 This division of Mark Mitchell’s collection of paintings is perhaps the most diverse; his group of 20th century still life paintings and 20th century landscape paintings for sale is perhaps the largest category, the most international, and the most stylistically varied in the inventory. 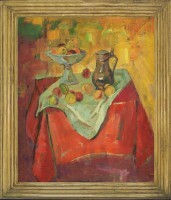 It includes, for example, amongst 20th century still life paintings, the modernist symbolism and abstraction of the Belgian painter, muralist and applied artist, Edgar Scauflaire (1893-1960). 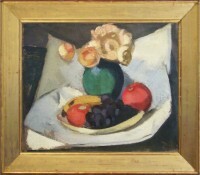 Scauflaire was inspired by Picasso and Braque, and achieved great success during his lifetime: he exhibited in biennali, Salons and Expositions Universelles, was awarded prizes, and is represented in the collections of major museums. 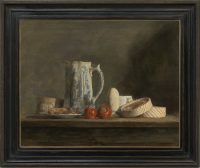 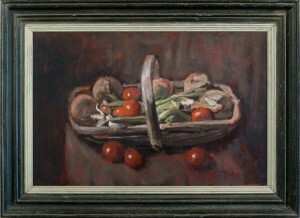 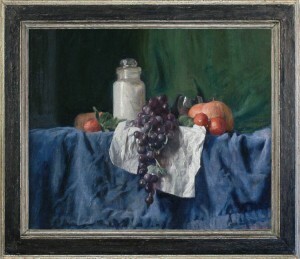 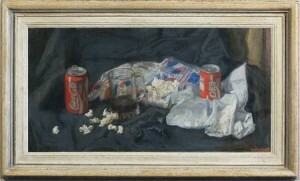 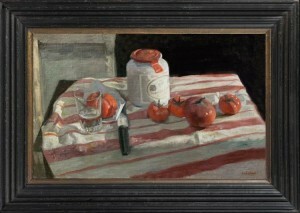 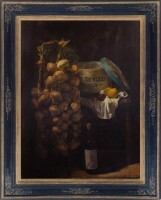 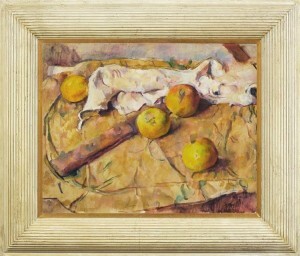 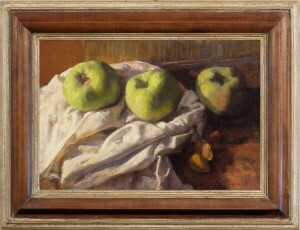 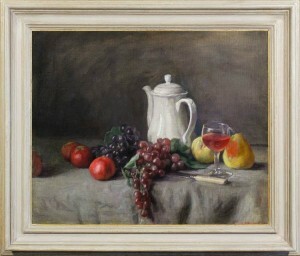 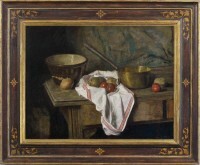 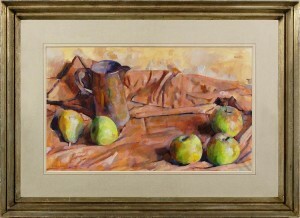 Other examples of 20th century still life paintings for sale include the work of the British woman Catherine Wood (1857-?1939), and the lawyer and businessman, Duncan Oppenheim (1904-2003). 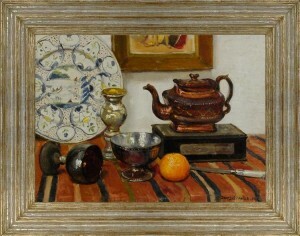 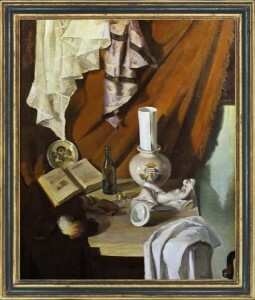 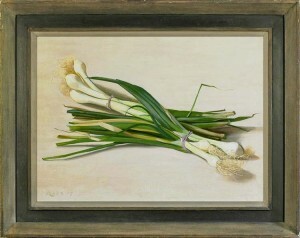 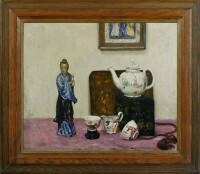 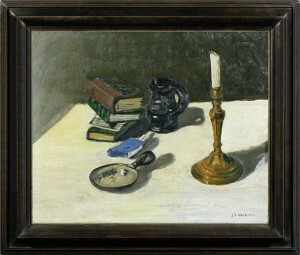 These could not be more different: Catherine Wood’s work for its inherent traditionalism (although her paintings of fruit and flowers were supplemented by the more – for the time – unusually ‘male’ subjects of gamepieces and collections of pipes or books), and Oppenheim’s for its minimalist compositions and technique of updated cloisonnism. 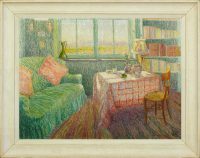 Again, a work from the Belgian/French Post-Impressionist school (1909) is expressed in the pointilliste rendering of surface effects – colour, sunshine, diffused and refracted light. 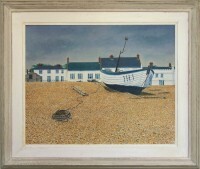 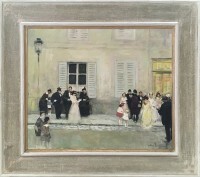 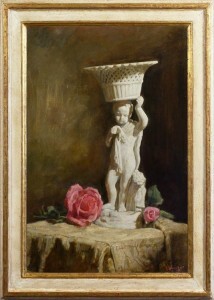 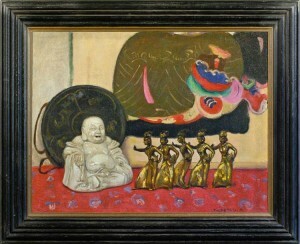 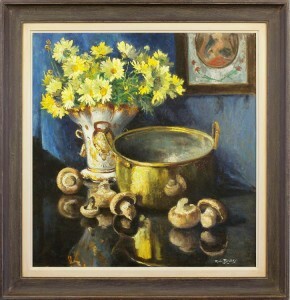 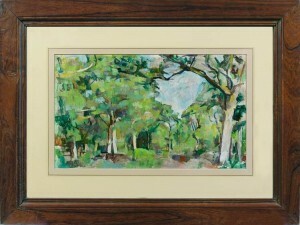 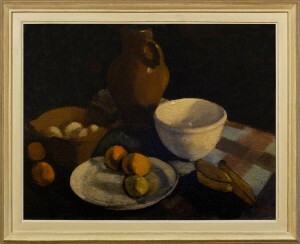 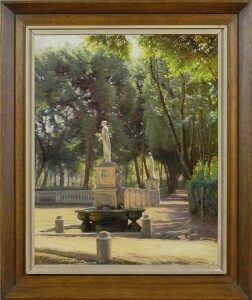 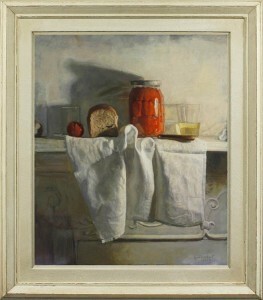 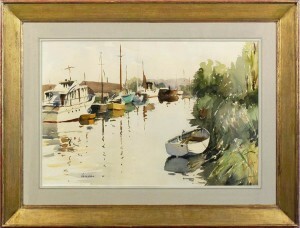 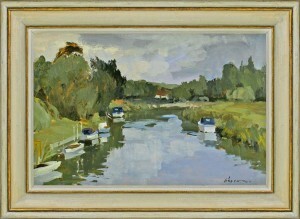 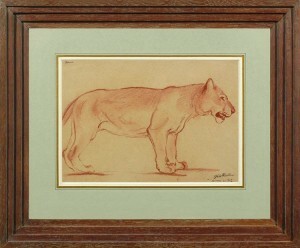 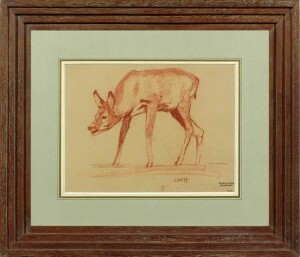 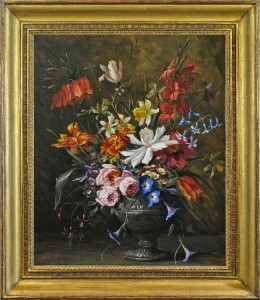 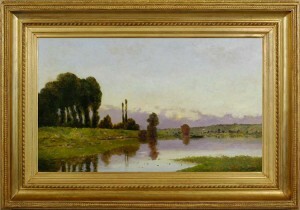 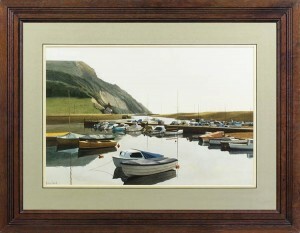 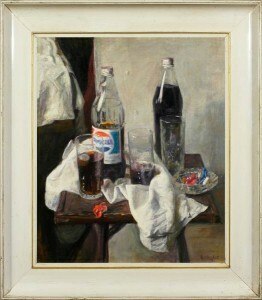 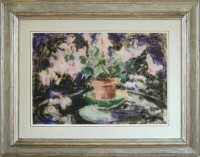 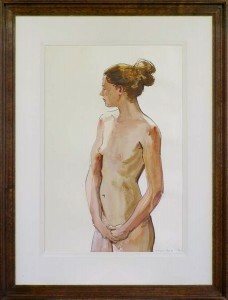 There are many other different styles to choose from in Mark Mitchell’s collection of 20th century paintings for sale. 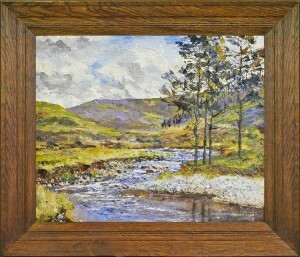 For example, amongst our 20th century landscape paintings – include the romantic pastoralism of Bertram Nicholls’s (1883-1974) landscapes. 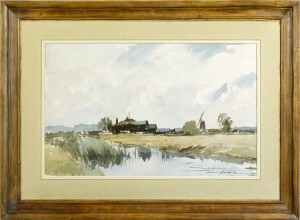 Nicholls’s ability to synthesize and simplify has been compared to that of John Sell Cotman; his rural and urban landscapes are pared down to their underlying geometry, very different from the cool, light-filled panoramic landscapes of the Dane, Sigvard Hansen (1859-1938). 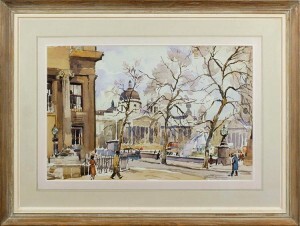 The work of the landscapist Edward Wesson and the painter’s painter George Weissbort (1928-2013) give a further injection of updated classicism. 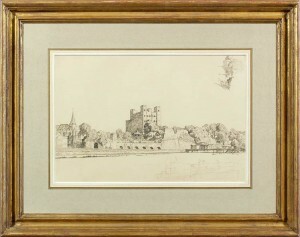 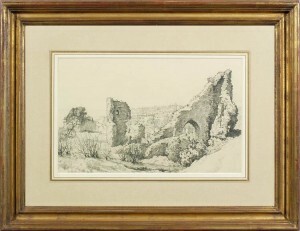 Mark’s collection of 20th century landscape paintings includes drawings, as well –for example, evocative ruins by Bertram Nicholls.